This exhibition celebrates the thirtieth anniversary of Caryl Bryer Fallert-Gentry’s first art quilt in 1983. The thirty-six quilts on display, all of which are new, revisit many of the themes of her past, award-winning work, and also introduce some new themes. Although there is diversity in style, the uniform size of the quilts (30″ x 30″) pulls the exhibition together visually. 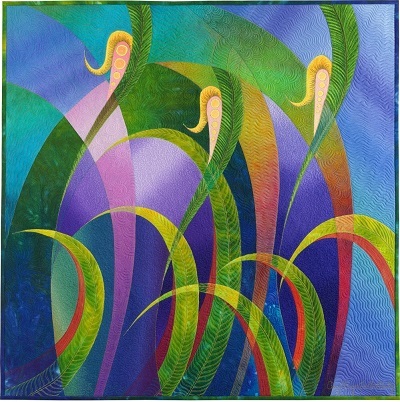 The Quilter’s Guild of Indianapolis, Inc. presents its biennial quilt show on Friday, October 23 and Saturday, the 24, 2015, at Westfield Middle School in Westfield, Indiana. Hours are 10am – 5pm both days. Admission is $10.00. Children under 12 are admitted free. The 2015 Show theme is “A Stitch In Time” and this special challenge competition invited members to submit quilts that interpret this theme. Contemporary to traditional, bed quilts to baby quilts, art quilts to wearables – over 400 items will be on display. Saturday at 1:30pm will feature an auction of small quilts that have been made and donated by guild members. There will be a vendor area with booths representing fabric stores, sewing machines, and craft suppliers as well as a refreshment area with lunch foods, desserts, and snacks. Appraisals by appointment are on Saturday during the show. Caryl Schuetz, quilted textiles appraiser certified by American Quilter’s Society, is the appraiser. On Friday, a silent auction begins at 10:00am and ends at 3:00pm. Bed turnings are scheduled for Friday at 11:00am, 12:30pm, and 2:00pm. Saturday’s bed turnings are at 11:00am and 12:30pm. Opportunity Quilt: You can purchase tickets for a chance to win this quilt at the show. 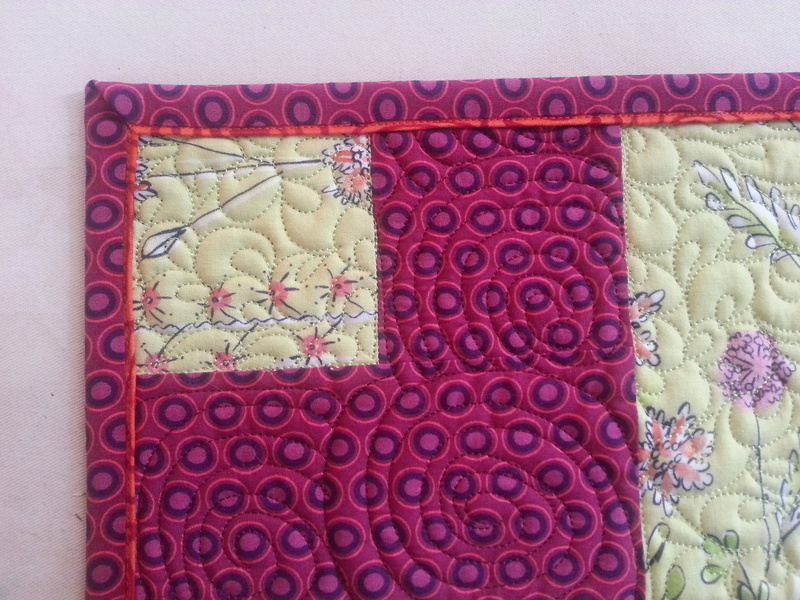 I will be using this method with my two quilts that I will be completing for our Guild Show, which is in October.